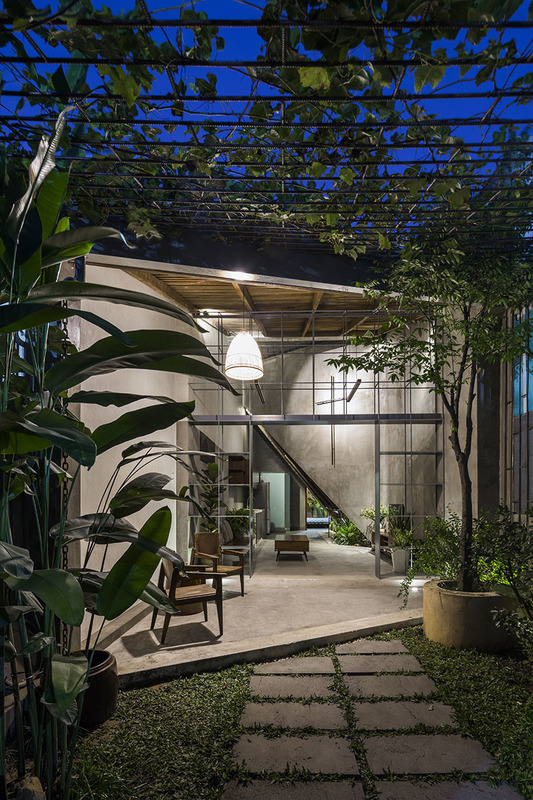 23o5 studio has completed ‘the hut’, a house designed without limits between its indoor and outdoor spaces. 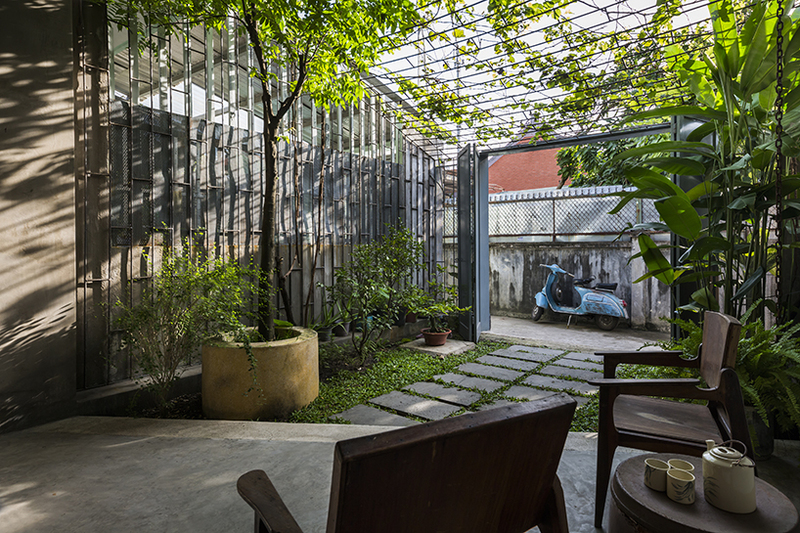 located in the thu duc district of ho chi minh city, the project aims to incorporate plenty of green spaces that constantly disappear due to intense urbanization. 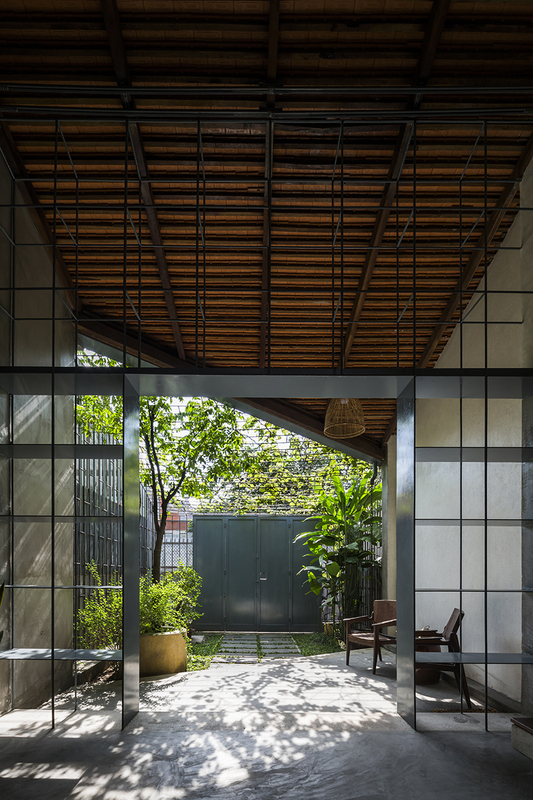 23o5 studio designed the house as a seamless transition between interior and exterior where the two are only separated by a set of iron shelves. 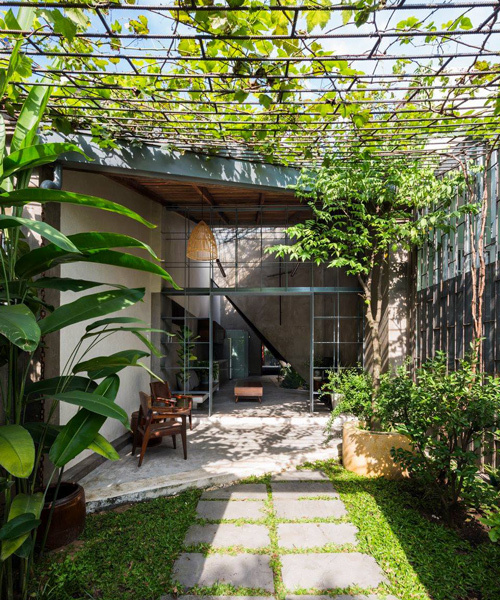 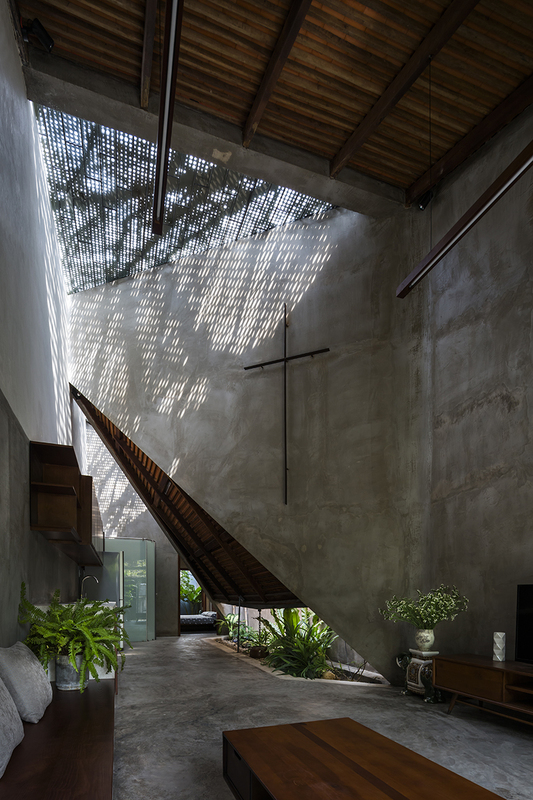 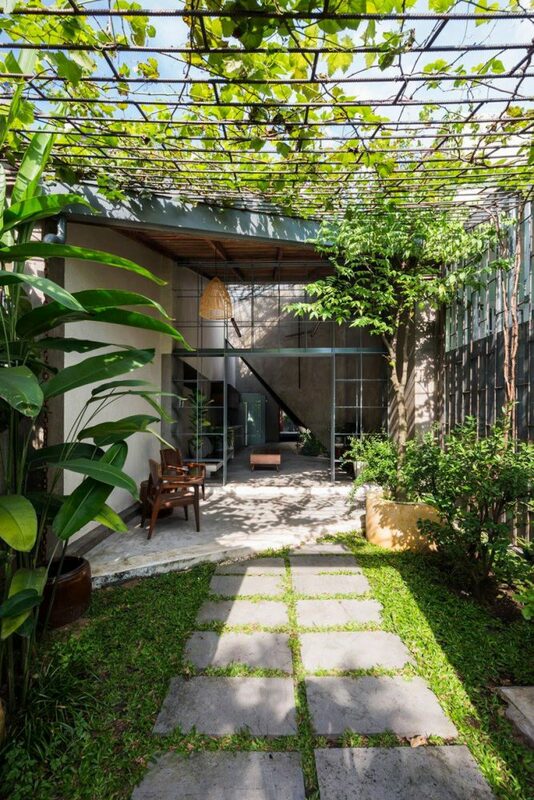 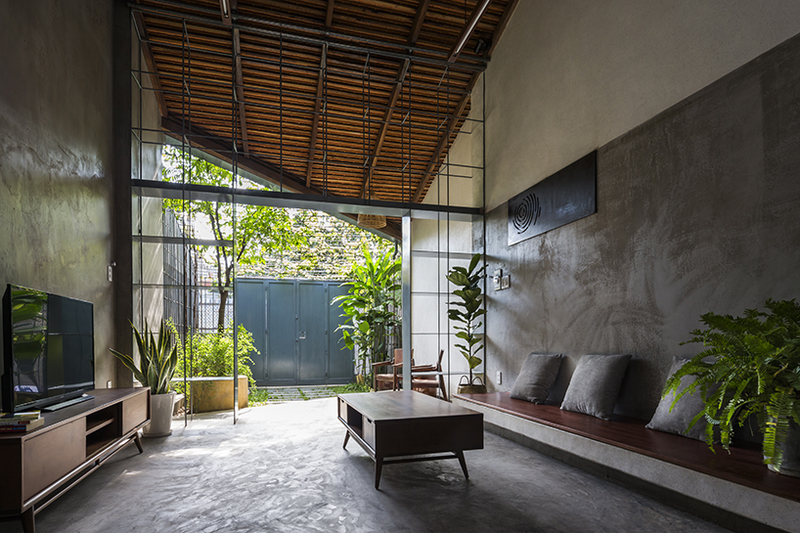 influenced by the designs of traditional vietnamese houses combined with modern aesthetics, the result is a quite and peaceful space created for young couples. 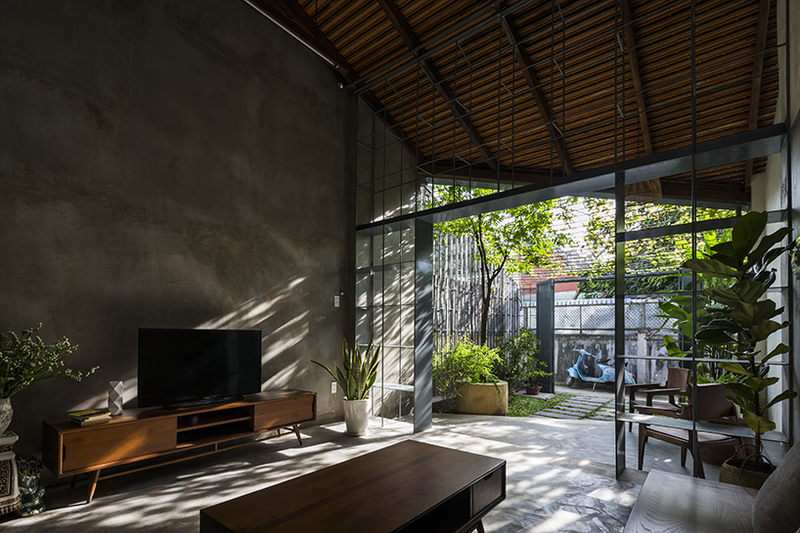 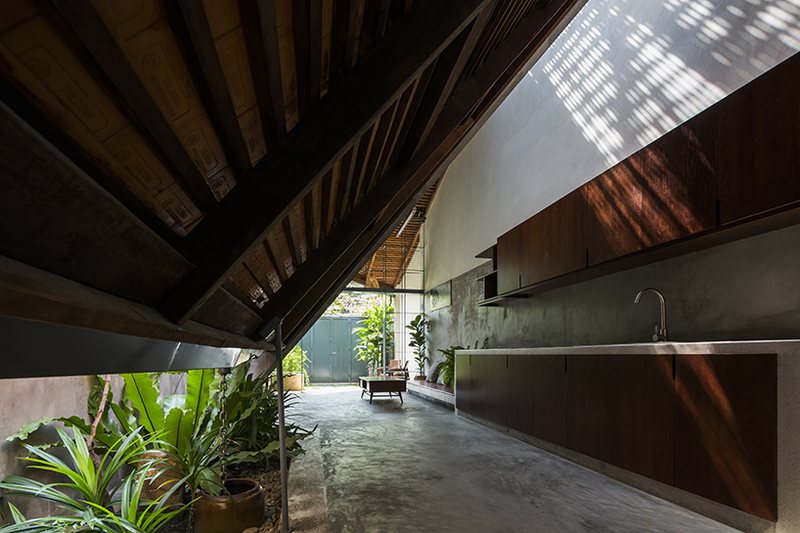 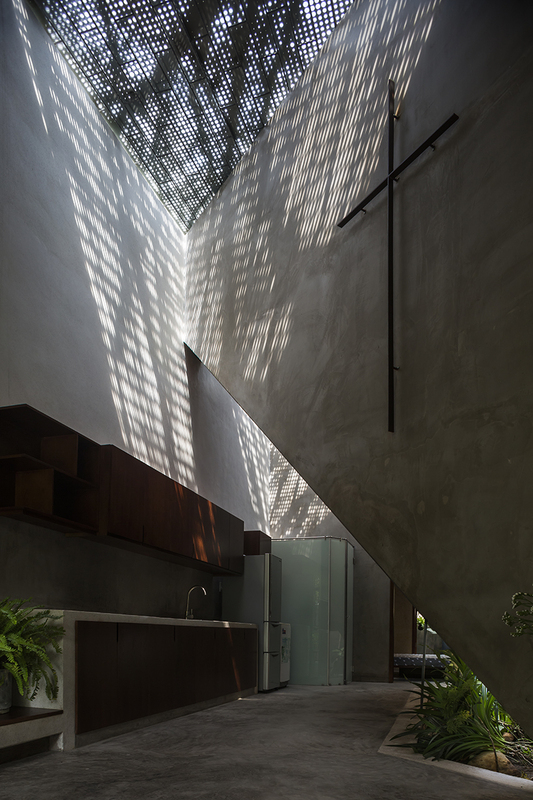 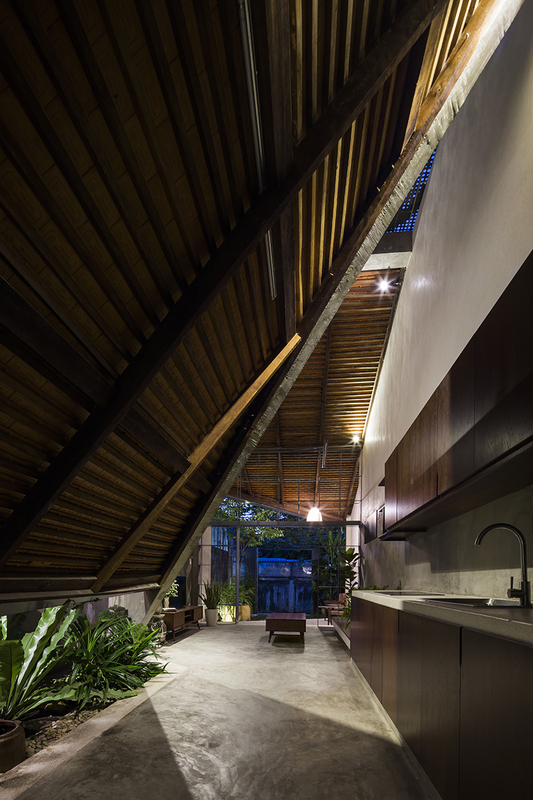 the kitchen includes a perforated ceiling for natural lighting and a small garden with vegetables for cooking, while another garden is found in the bedroom which is located at the end of the house.